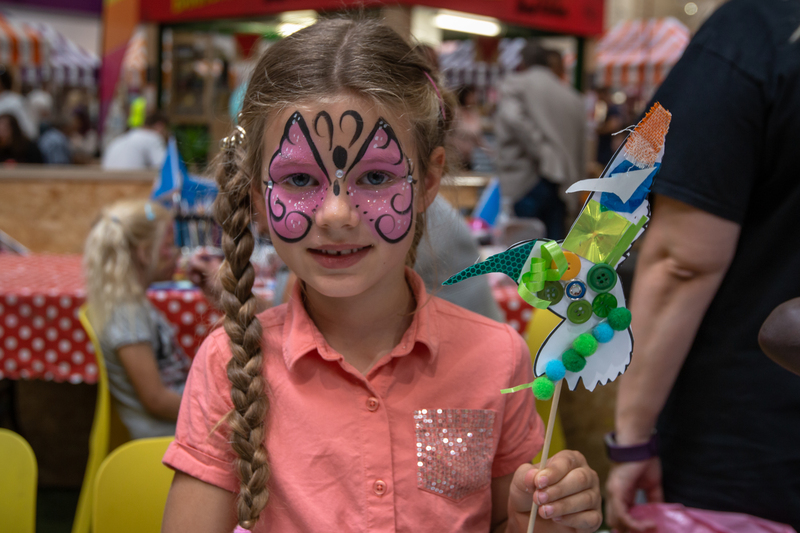 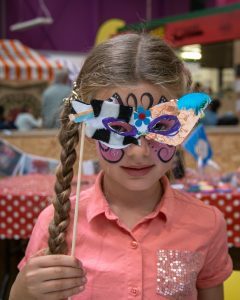 This is my second drop in workshop at Kirkgate Market in Leeds (organised by Same Difference Arts), after leading one making Pop-Up Puppets in Easter earlier this year. 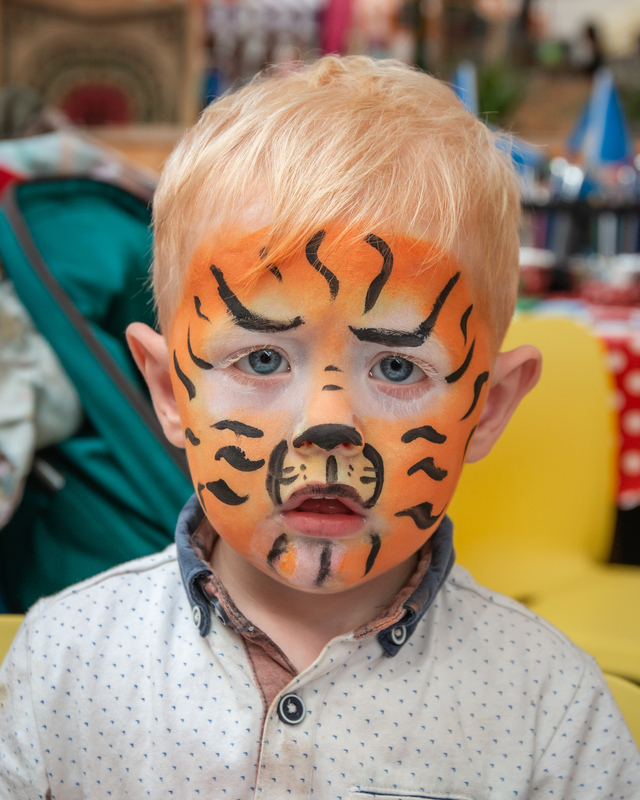 As before, I got to work alongside Miranda Johnson, who is a fabulous face painter, really approachable and I fully recommend her. 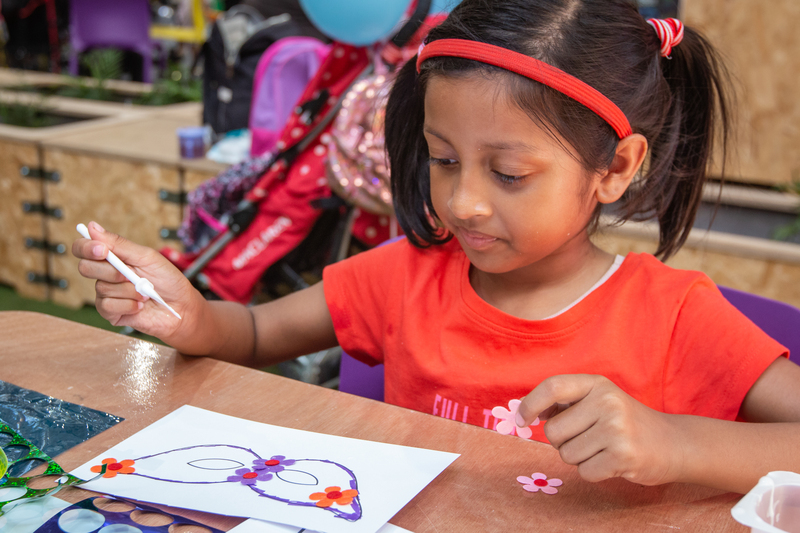 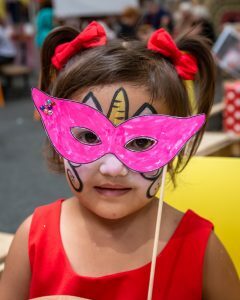 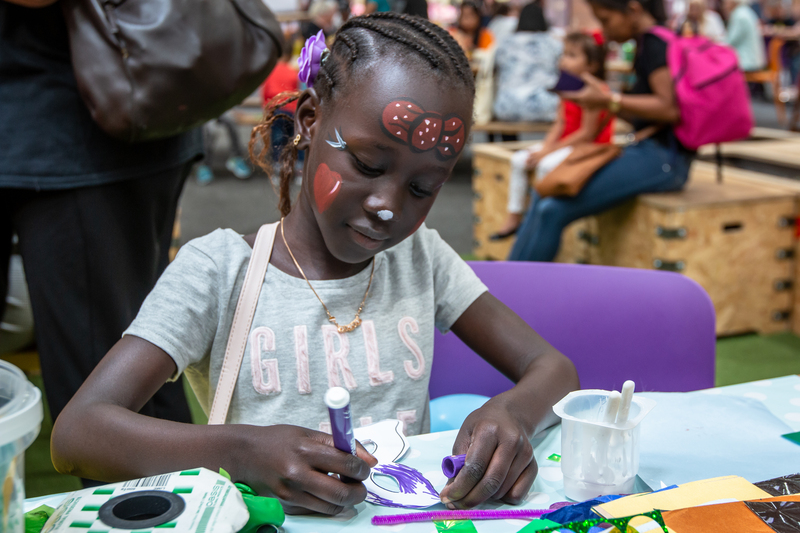 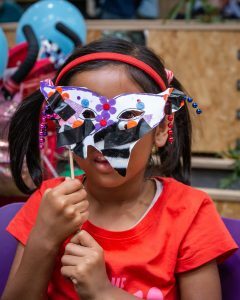 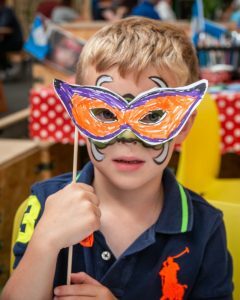 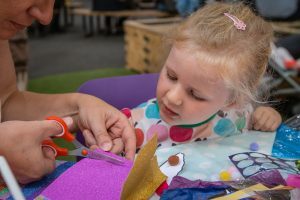 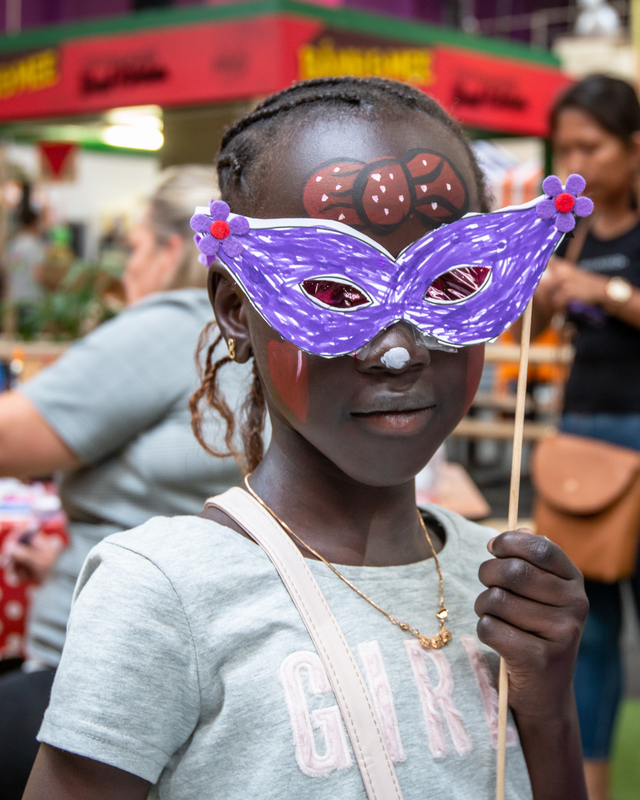 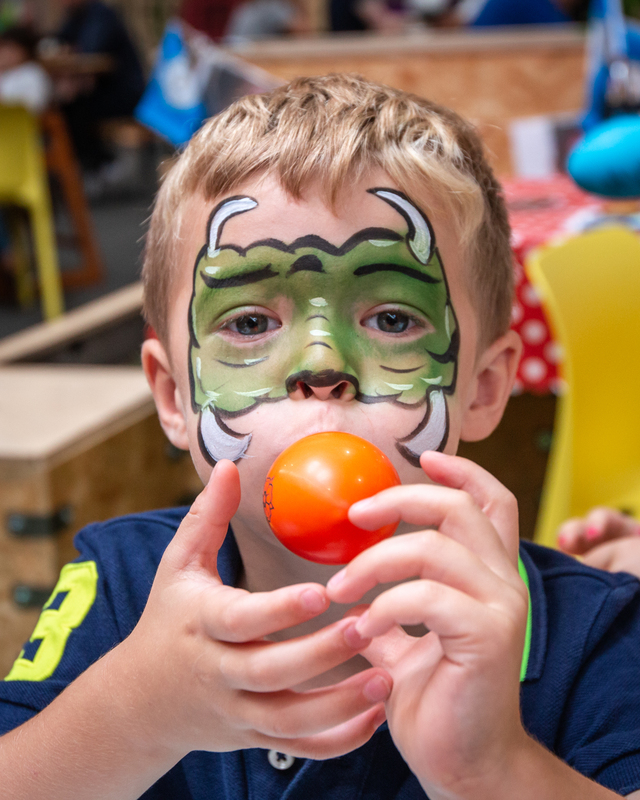 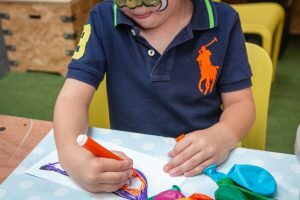 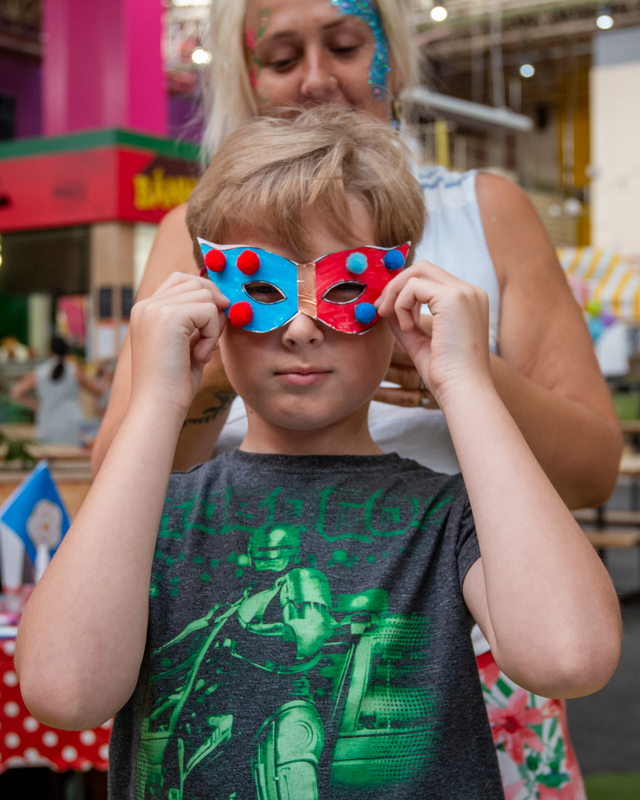 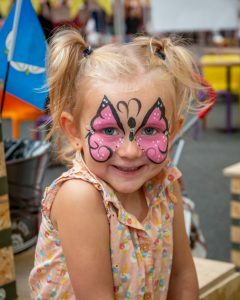 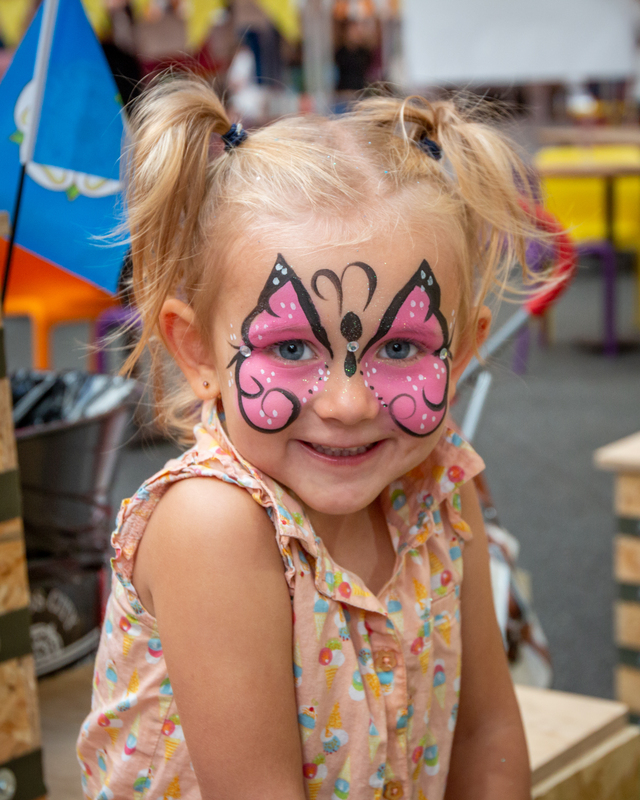 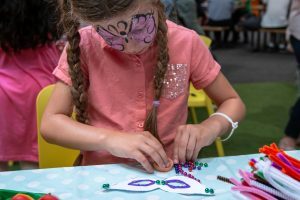 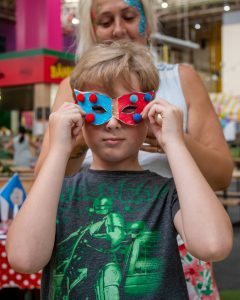 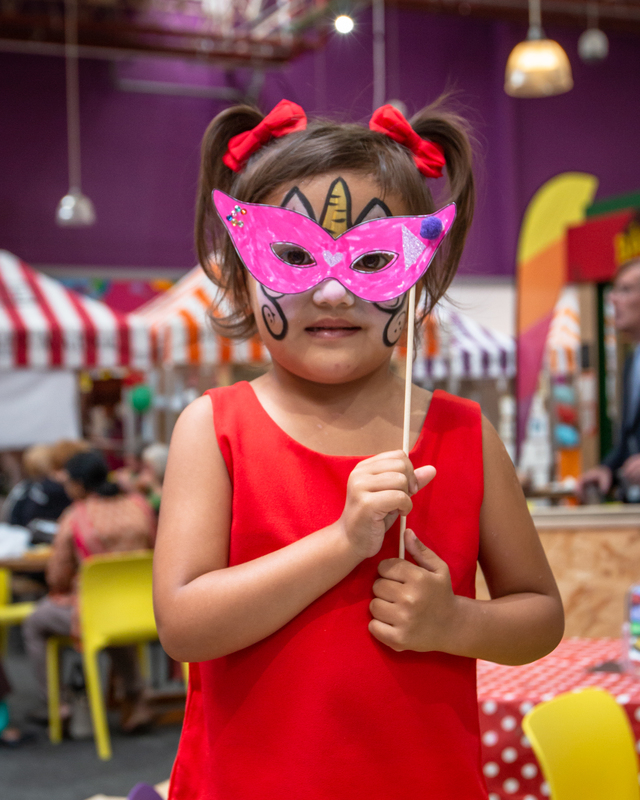 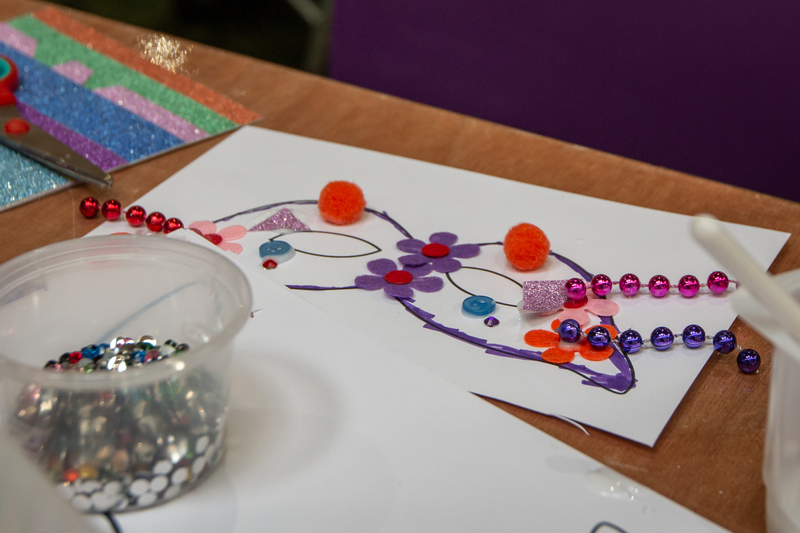 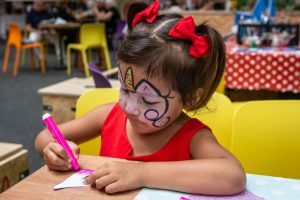 I chose to do two simple activities, aimed at families with younger children, loosely themed around carnival – decorating hummingbirds and creating masquerade masks. The masks proved the most popular, and we went with the big reveal – the wonderful painted face underneath – not one, but two fabulous masks! 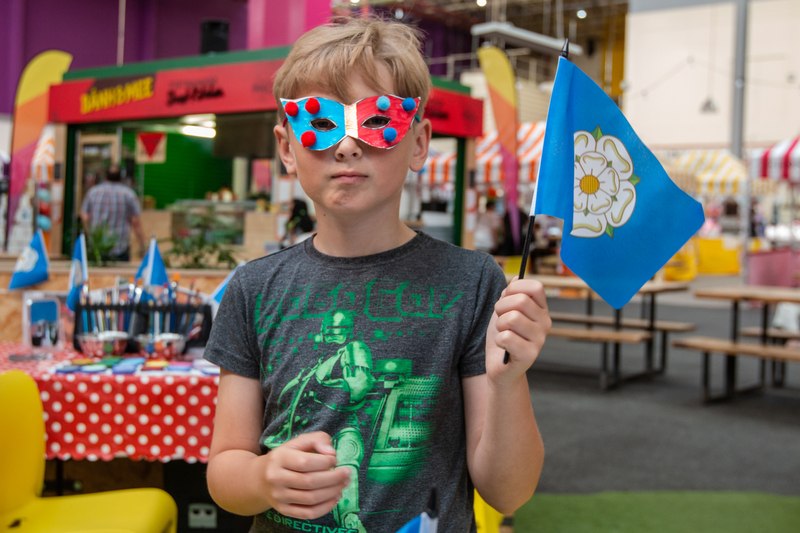 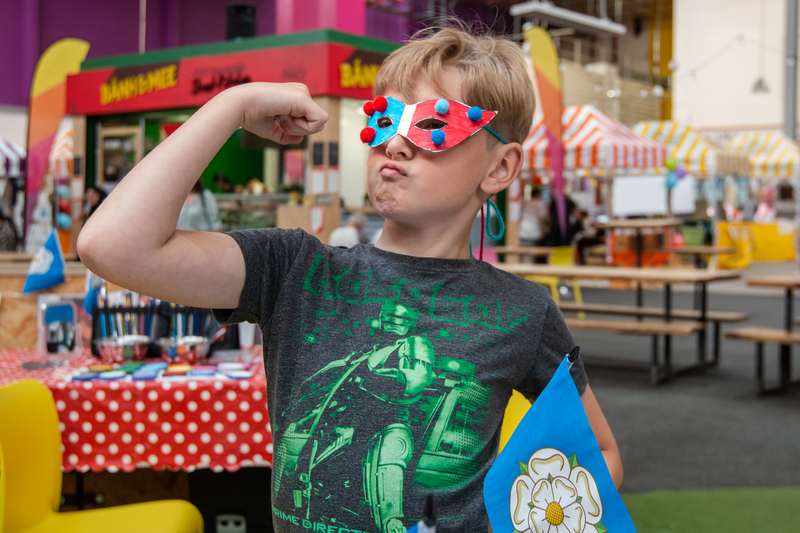 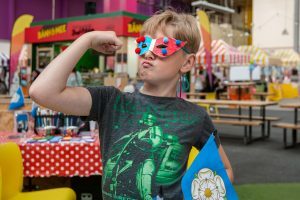 Oh, and it is Yorkshire Day on 1st August, so the White Rose of Yorkshire was flying on flags across the market, along with lots of flat cap wearing individuals, breaking the record for the most people wearing a flat cap in one place! 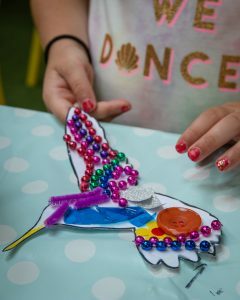 Below is a selection of photos showing the marvellous creations that the children made. 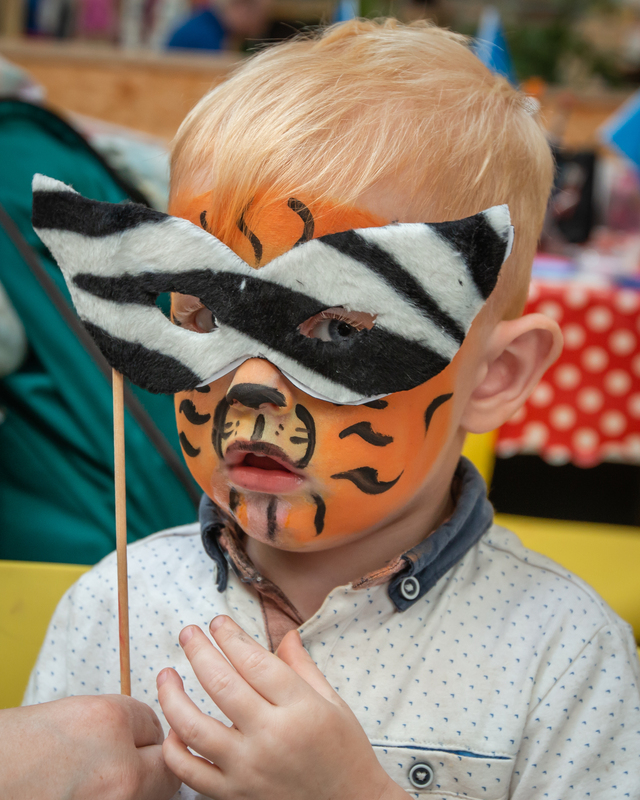 I do think the zebra mask revealing the tiger painted face is one of my faves, simply for the animal theme. But, having said that, I think they are all equally wonderful, and I do so enjoy listening to the children’s stories and hearing how much they love creating at home.